Immaculate Heart of Mary Catholic Church is located at 601 West Houston Street in Abbott. Father Joseph Keating is the Parochial Administrator. He also pastors Nativity Blessed Virgin Mary Catholic Church in Penelope. The church dates back to 1946 when Father Charles W. Smid was appointed the first pastor. He arrived in Abbott on February 1 of that year, when there were no accommodations or any property owned by the church. He visited 175 families, and a committee was elected to assist him to raise funds to purchase land and plan the first building. The committee included Eddie Hlavaty, John Pustejovsky, Ed Petter, Harry Urbis, and Joseph R. Marek. The Abbott School gymnasium was used for Mass. The first Mass in Latin was held March 3, 1946. Groundbreaking took place on June 29, 1946 and construction began July 8. 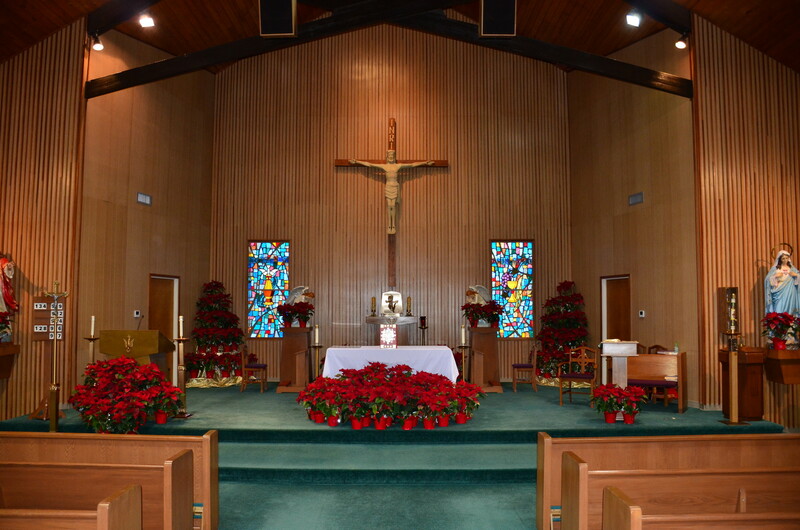 The building was completed in time for Christmas Midnight Mass in 1946. The total cost was $40,472.74. The parish has four fund raising meals throughout the year. A hamburger supper is hosted by the Youth Religious Education Program in February. In May, a barbeque brisket and sausage lunch is offered. Spaghetti and salad bar lunch is served in August. A fried fish and chicken lunch will be held in November. Service times at the church include Saturday evening Mass at 6 pm and Sunday morning Mass at 8 am. Sacrament of Reconciliation is held Saturday from 5 to 5:45 pm and Sunday from 7 to 7:45 am. To contact the church, call them at 254-582-3092, email them at ihom@airmail.net or visit their website at www.immaculateheartofmaryabbott.org.